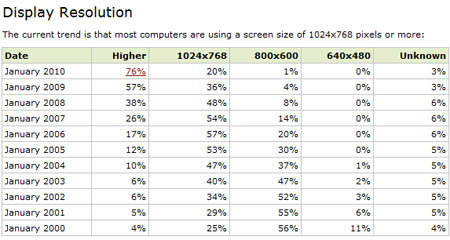 What a great nugget for web designers, taken from w3school.com. No more 750px wide websites here! Unless you aesthetically limit yourself to 450px, ahem. Posted in Future | Share & Bookmark | Your Thoughts?